Writer and star of BBC’s BAFTA-nominated Big Babies and UK Barry-nominated for best performer in Edinburgh 2014, Spencer Jones was a New Act of the Year 2015 runner-up at the Edinburgh Fringe. Spencer recently wrote and starred in a pilot, THE JONAH MAN, for Cave Bear and Sky One. In 2017, he reprised his role in UPSTART CROW for BBC Two. 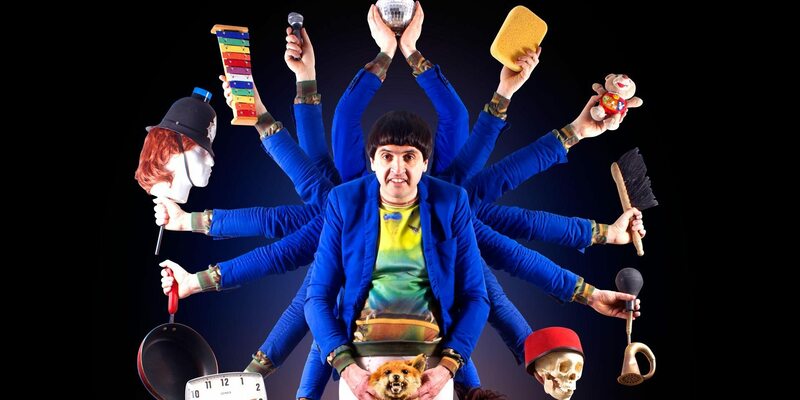 His amazing 2015 show Spencer Jones is THE HERBERT IN PROPER JOB had glowing reviews and won Best Fringe Show and Best Performer at The Comedians’ Choice Award as well as having a week’s sell out run at the Soho Theatre with this “joyful hour of goofery”. Spencer performed his latest show, THE HERBERT IN EGGY BAGEL, at the Edinburgh Fringe in August 2016 to great acclaim. Spencer won the 2016 Broadcast Digital Award for Best Scripted Online Short for his ten minute short SPENCER JONES’S CHRISTMAS. Cave Bear and Tiger Aspect produced the short, which was one of Sky Comedy’s Christmas Shorts. He was also recently a smash hit on BBC’s Live at The Apollo. "There are officially 1,170 comedy shows in this year’s Fringe, and countless more not in the programme. But there is only one like Spencer Jones’s." "Only those with the stoniest of hearts could fail to fall for The Herbert."